When Instagram was introduced to the Android platform just a few weeks ago, it made a splash like few apps ever do. It drew raving reviews and many downloads, having previously only been available for iPhone. I love Instagram and recommend it highly, but let’s not forget that there are many wonderful photography apps available on Android. I’m going to highlight a few of my favorites, which I’ve tested extensively on my T-Mobile Samsung Galaxy S.
This excellent, low-cost app provides a surprising amount of tools for altering and editing photos., comparing even with desktop photo editors. Go wacky with clever filters or go serious with detailed settings for exposure, white balance, and histogram. Whether you’re looking to alter a photo to make it suitable for publication, or you’re just looking to have fun with your family snapshots, PicsPlay does the Trick. 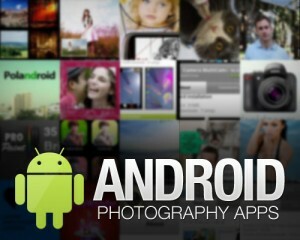 While Android phones come with a built-in, free photo gallery, this app takes it to the next level. You’ll enjoy many ways to organize, move, and share photos, including to tons of popular online services (Flickr, Imgur, Facebook, etc.). Select multiple photos at once to make batch edits and work faster, and enjoy fun ways to view your photos right on your phone. You’ll love making collages with this free, fun app. Place all your kids into a collage for their grandma. Or compile a group of photos from your romantic getaway. I love this app because it’s easy to add photos to panes (you just tap the panes), and there are fantastic options for backgrounds and frames. You can choose an austere, solid black frame or a whimsical pink one, for instance. Finally, I present PicSay. This is definitely not a tool for serious photographers, but that’s why I like it. Add goofy, warping effects and cartoonish thought bubbles and icons to your photos. I love playing around with elements by dragging my finger across the screen, and I love sending my creations to my friends and family. Kids will love this app, especially. Guest Author: Ashlee McCullen is a staff writer for ApronAddicts.com, a site about fashionable aprons and kitchen style. Next Entry: Why Carriers cap LTE services to avoid fixed-line cannibalization? Next Entry Why Carriers cap LTE services to avoid fixed-line cannibalization?